DTA designs and manufactures AGVs to be operated in all heavy load industries. 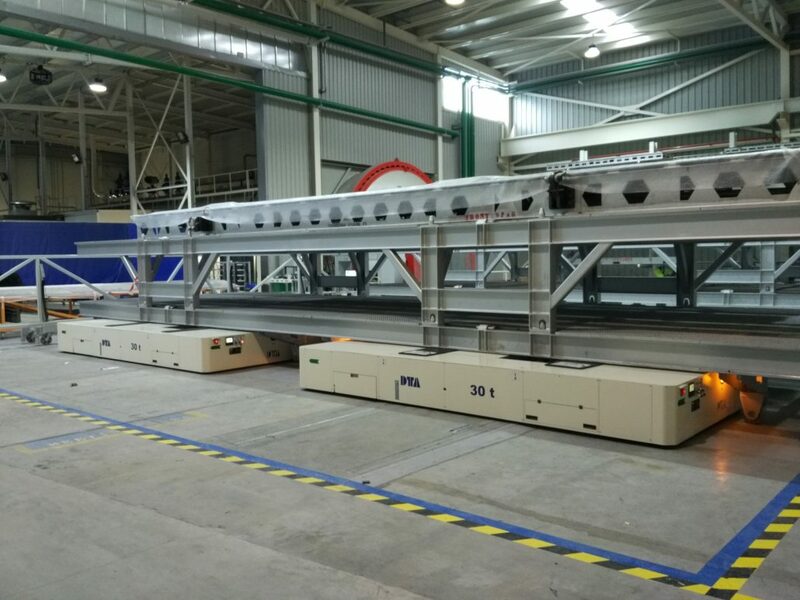 We are committed to technological innovation to supply reliable and productive solutions in both assembly or manufacturing line of all our clients without regard the type of load. Magnetic operated by a magnetic guiding line on the ground surface. Optic following a tracking guiding line on the ground surface. Rail Guidance through a line system installed on the ground and whose frequencies are tracked by an antenna. 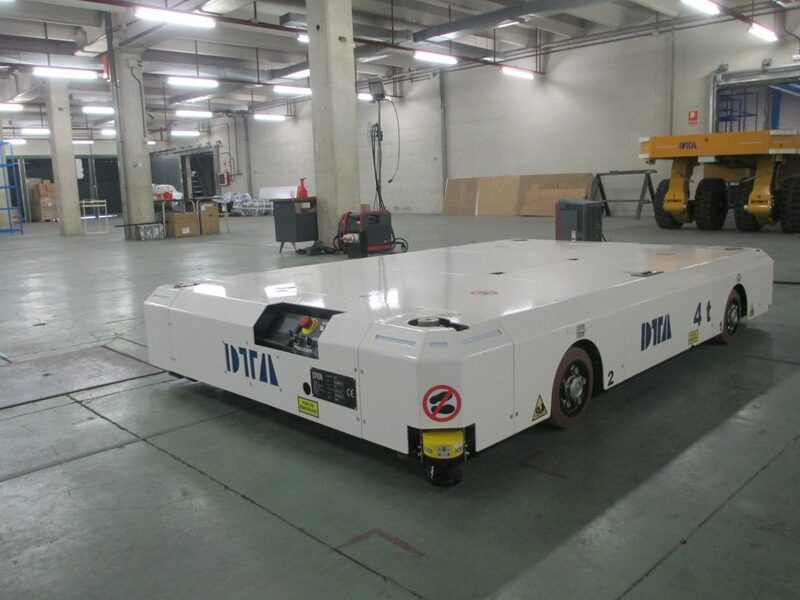 AGVs built in DTA are specifically designed to cover customers requests in the optimal way. 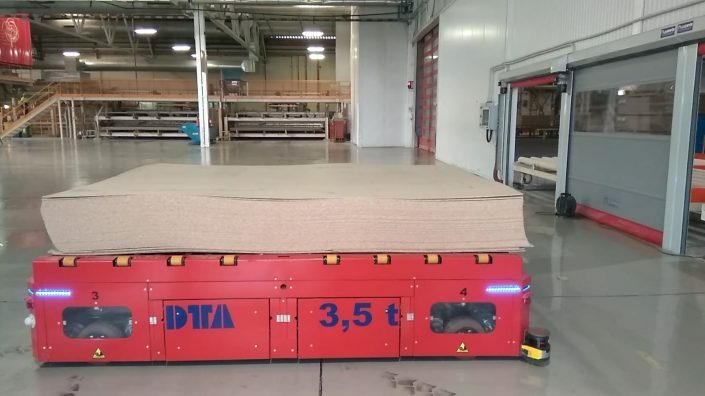 Our AGVs are used essentially for load transportation inside of factories, characterized for their capacity to carry loads of any heaviness and/or delicate in an efficient way, always assuring the safety of operators and load. Wire-guided. The AGV follows a route marked by a wire buried on the floor. This wire generates a magnetic field that guides the AGV on its route. Magnetic-guided. Improvement of wire-guiding. The magnetic field is generated by a magnet instead of a wire, which avoids the usage of electricity on the wire. Optical guided. The AGV follows a route thats marked by a painted line, which is detected by the catadioptic installed on the AGV. Easier to install and modify than wire-guiding. Artificial vision. 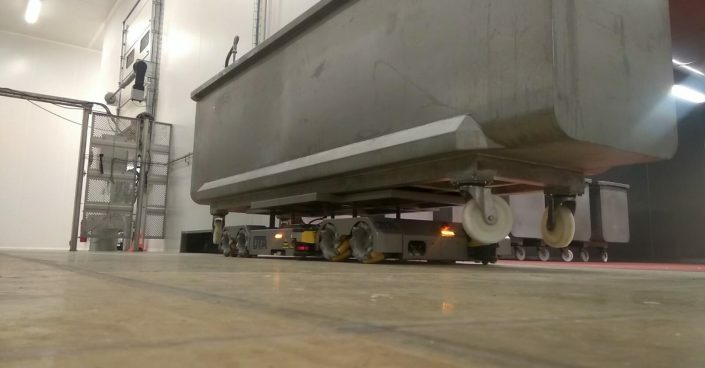 The AGV uses artificial vision to recognize a tire of catadioptic mirror, calculate the deviation between the marked route and the AGV and correcting it instantly. Laser. 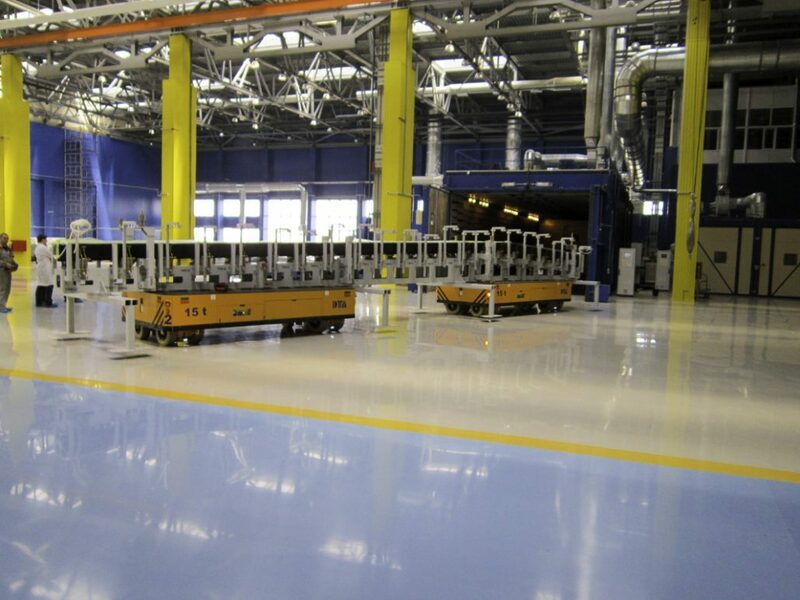 The AGV recognizes its surroundings using a rotational laser that is reflected in a series of reflectors in order to determine its position on a map of the factory previously loaded in its memory. This method offers the easiest way to modify a route as an advantage. 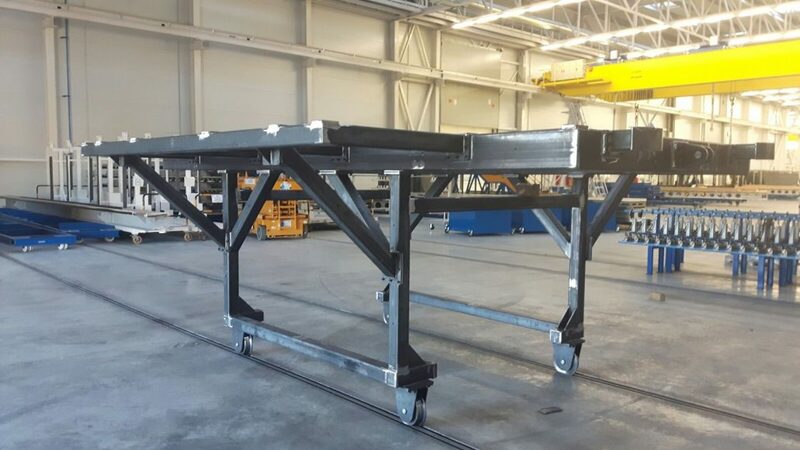 The engineering team in DTA will gladly suggest the optimal guiding method based on your layout and requests to offer you the best product with the best price possible. 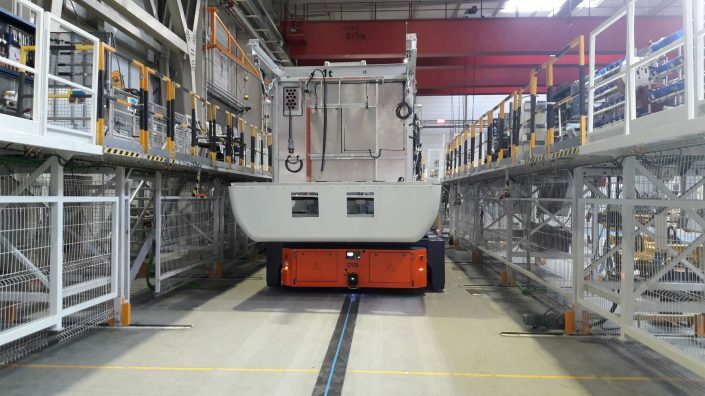 Traffic Management in factories with more than one AGV working at the same time, to prevent unnecessary stops. Data Compilation to obtain information about the rest of the elements on the system and organize the routes in an appropriate way. This information is managed by the host which organizes the traffic and generates orders as a central element of the system. 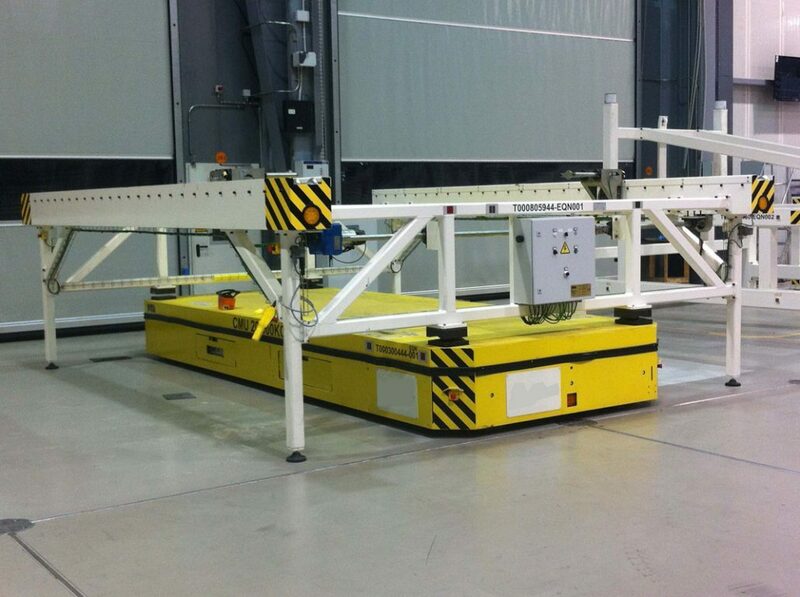 AGVs Mouse are reduced dimensions AGVs designed to pull tug-carts. 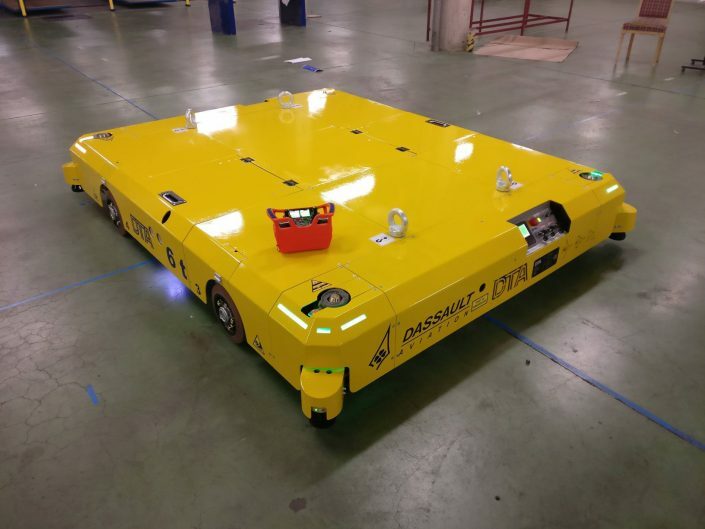 In DTA we design our AGVs with mecanum wheels to provide the AGV with the maximum precision possible. For convenience every AGV has an interchangeable battery set to reduce the amount of time that the AGV is not operative. 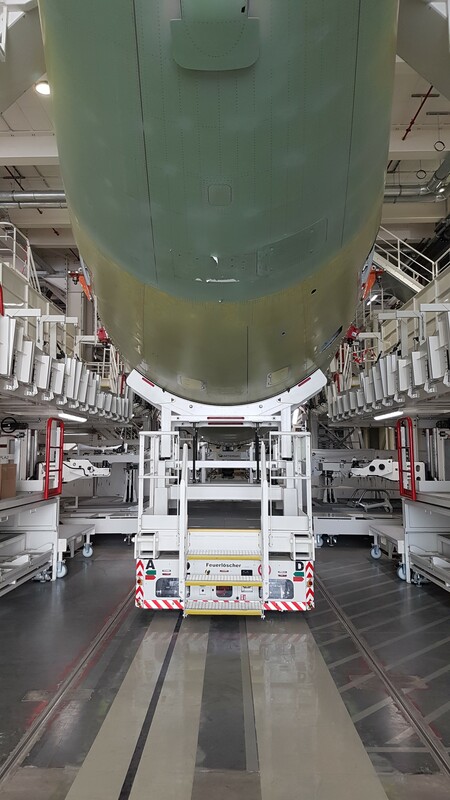 DTA specializes in the aeronautical sector, where our AGVs are highly demanded because of their efficiency and effectiveness, and also, because the customization in the design of our AGVs make them suit the requirements of the customer, the factory and the certain project they are designed for. 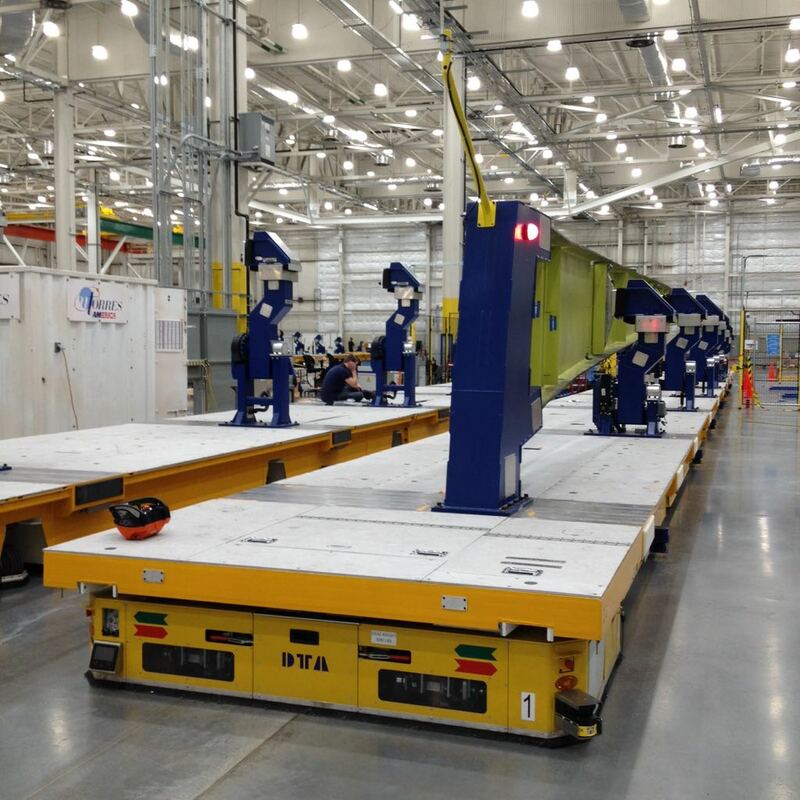 Our AGVs allow the transportation of complete fuselage and sections. Our steering modes combined with our maximum precision controllers give the AGVs the caution needed to transport this kind of load, and our user interface provides de operator with an intuitive and easy to use workspace. 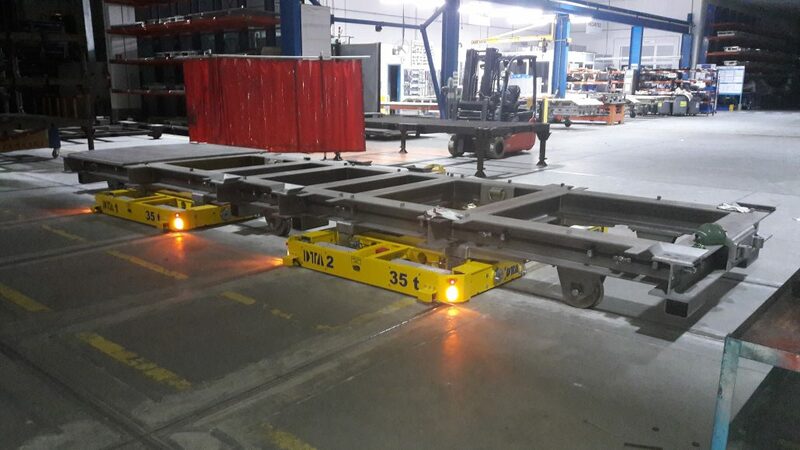 Also, our AGVs are able to work as SPMT for complex transportations. 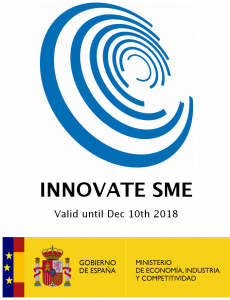 In DTA we make constant effort to innovate our technology to offer this and every industry the most complete and updated solutions to their requests.